Christopher Nordquist - Donor - The Eye-Bank for Sight Restoration, Inc.
with Christopher, my two year old son and his older brother Andrew, who was four at the time. Somehow, Christopher went outside by himself and accidentally fell into my family’s pool. We rushed him to the hospital, but it was too late to save him. Later that afternoon, while we were all sitting around my kitchen table, my husband reminded us all of an article in the paper about a young boy who was waiting for a heart transplant and how we wished we could have helped that boy with Christopher’s heart. That was when my neighbor mentioned that he read an article that said it was still possible to donate Christopher’s corneas even a few hours after death. Phone calls were made and we were able to donate both of his corneas to two other children. As we sat there, I had wished that I could have been one of those parents, waiting for a phone call to change my child’s life forever. It was not possible, but to know that his beautiful green eyes were living on; it gave me something to hold onto. It was like a tiny ray of light that helped to lighten the darkness that had surrounded our family. It helped us deal with our grief and gave us comfort knowing that some good came from this terrible thing that had happened to our family. Every mother dreams of watching her children grow, living life, seeing all the beauty that surrounds them, accomplishing many great and wonderful deeds. 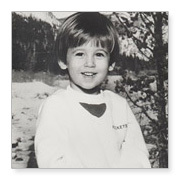 Even though Christopher died at such a young age, he accomplished something so very special – he was able to give sight to two others, so that they could experience and enjoy all the beautiful things that life has to offer. Christopher was able to leave a true Legacy of Love.